In most parts of the country, September is a wonderful transition month from summer into fall. The heat is subsiding and cool days and nights return. Depending on where you live, you may also begin to see an increase in rainfall, so it can be a good time to start planting again. Now is the time to heal your plants from summer heat stress, clean up garden beds, pull out spent summer plants and refresh for fall. In warmer climates, you can keep planting well into October and November. September is a good time to work on building soil health by amending your beds with compost and other soil conditioners. Healthy soil grows healthy plants, plus, soil with organic matter is able to retain more moisture. Now is also a good time to mulch all landscape beds. Fruit trees offer up beautiful spring blooms, summer fruits and fall foliage color. 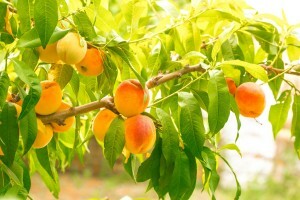 Fall and winter are the best times to plant fruit trees. By planting your fruit trees in fall, they’ll have more time to put down new roots before next summer’s heat returns. 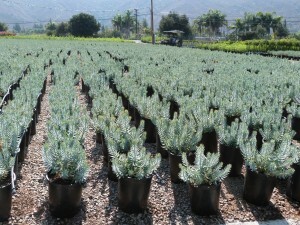 Be sure to apply a root stimulator when you plant your new trees. For smaller, urban landscapes, try a dwarf fruit tree variety such as Peach ‘Dwarf Empress’ or‘PixZee’. New to growing fruit? Easy to maintain varieties such as ‘Santa Rosa’ plum or ‘Keifer’ pear are good choices. If your shrubs and perennials are looking lackluster from summer stress, now is a good time to help them lighten their load. In warm climates, you can do light pruning to remove any damaged foliage and encourage a fall flush of growth. However, if you live in cold climate it may be too late to prune; you can still clean up any dead stems or diseased foliage. You can also fertilize shrubs and lawns in warmer climates. Cool season edibles such as leafy greens, broccoli, cabbage, Brussels sprouts, carrots, beans, peas, cilantro, dill, parsley and fennel can be planted now in the garden, by either seed or transplant.